First Post in my Bird Blog! This afternoon, I took Charlie out for a walk and decided to take my camera with me, should we meet up with some birds in the forest. 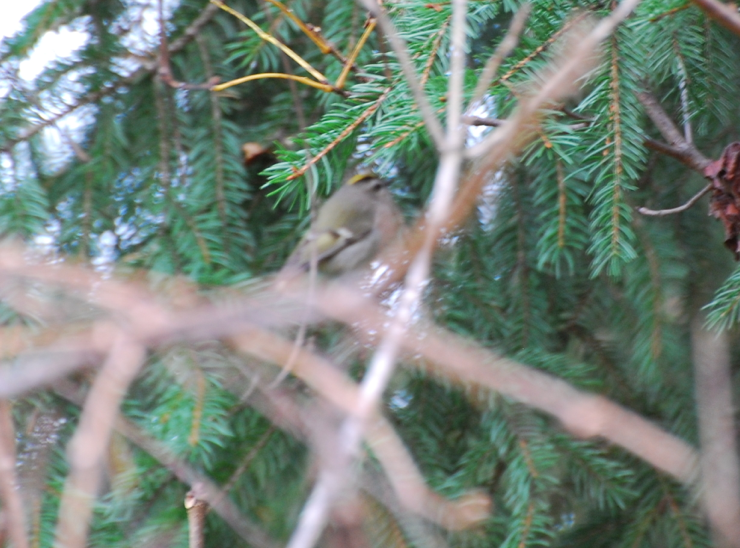 I saw a “Golden-Crowned Kinglet” – a “lifer” for me 🙂 Super cute little bird and managed to get one very blurry photo! but you can definitely see the yellow crown and black stripes on the head, enough for ID – but not smugmug worthy. 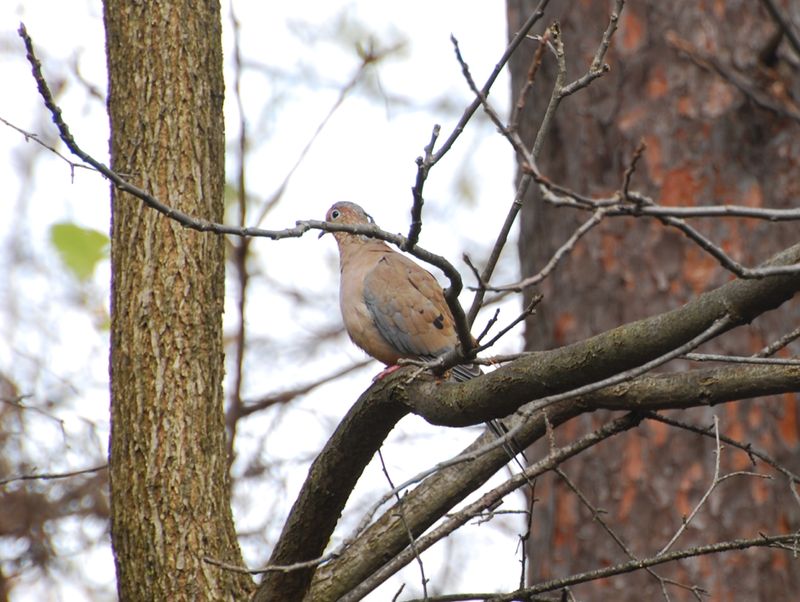 It was fun to actually look specifically for birds while walking the dog – but it was a brutal realization of how difficult taking photos in the woods of the wee flighty birds actually was. I definitely need to practice accurate and fast photography if I ever want to capture great photos of birds while in Mexico and Central America this December! I real eye-opener for me. I was actually quite depressed at one point, but then managed a successful ID of the Kinglet and that lifted me up that is can be possible, with practice!